Bethesda has always been known to be a bit trigger-happy when it comes to lawsuits. Years ago, the company threatened legal action against Minecraft creator Notch for using the name "Scrolls" for one of his games; ignoring his hilarious offer to settle the dispute via a Quake match. With that said, even if some of Bethesda's past suits have seemed a bit petty, its latest battle had far more legitimacy. 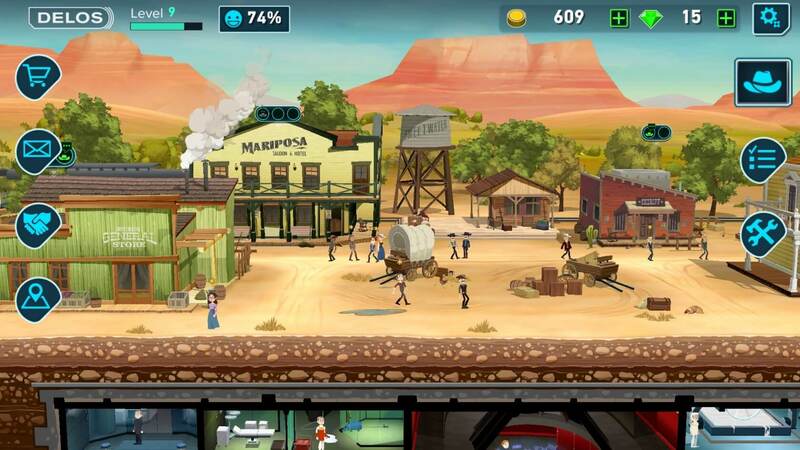 The company in June accused Warner Bros. of essentially copying Fallout Shelter's design for its Westworld mobile game - if you look at the two games in action, the similarities are certainly striking. Everything from the games' character designs to their overall 3D/2D hybrid art style is nearly identical (thematic differences aside). To make matters worse, both titles were developed by the same company: Behaviour Interactive. Bethesda claimed in its initial suit that Behaviour had illegally re-used Fallout Shelter's code to create Warner Bros.' Westworld game. As intriguing as this legal battle has been, we will likely never know which side was truly in the right. Mere months after it began, the dispute has ended, with both sides settling the situation "amicably." We don't know what the agreement entails (usually, money changes hands), but we do know that the case has been dropped "with prejudice." This means that Bethesda can't file the same suit against Warner Bros. in the future; even if compelling new evidence comes to light.